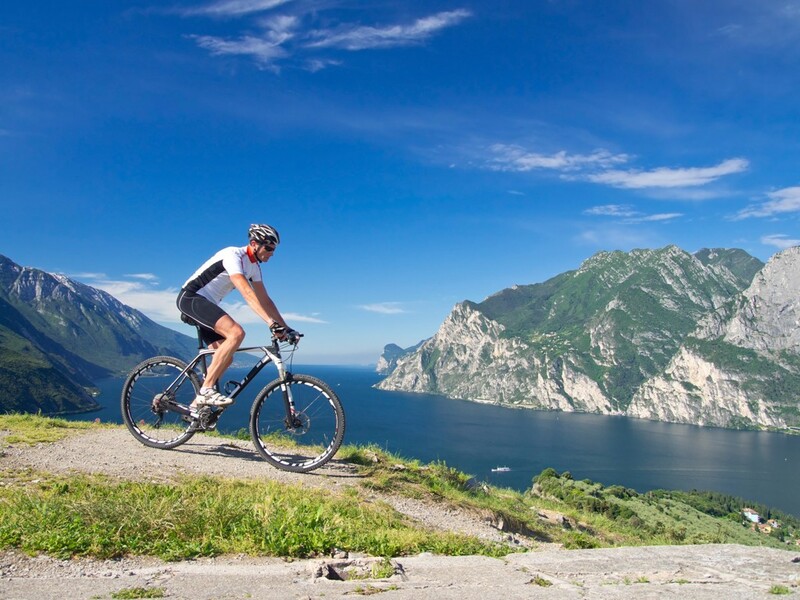 Bicycle paths at Lake Garda ↔ Discover Lake Garda! 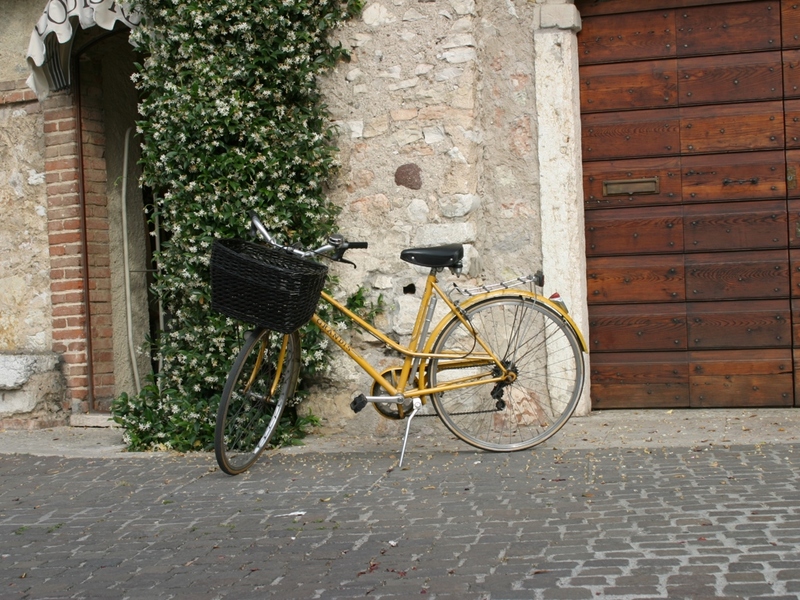 One of the best ways to explore the beautiful landscape of Lake Garda is by bike. The well-maintained safe bike paths run along the southern shore, and they are perfect for cyclists of all ages. 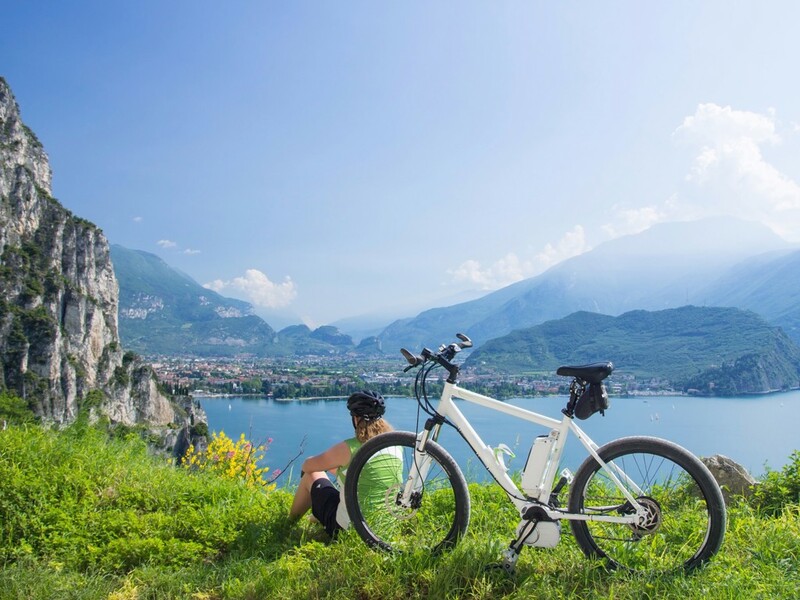 A bike tour is an enjoyable activity for the whole family, and Lake Garda offers different tours for all age ranges and abilities. Children, beginners, e-bike users and experienced cyclists can all enjoy the stunning scenery by bike. The tracks are mainly located on the waterfront in the south and east of the lake where they extend into the countryside and weave through the idyllic vineyards. For a bike ride with children, we recommend a route where all sections are on a separate cycle path away from the main roads. Even on the waterfront, it can be a bit crowded for the little cyclists in the main season. A particular highlight for kids is a trip on a bike path on Lake Garda, where they can return by boat or ferry. The possibility of a boat trip motivates small athletes, and in doing so, you do not have to travel the same route twice. Wine lovers should definitely take a bike ride through the vineyards. Here you can cycle from winery to winery, learn about winemaking, taste some excellent wines, and perhaps purchase a bottle for your own cellar or drink later! The hilly countryside to the south of Lake Garda has a lot to offer bikers and gourmets. The cycle paths cosily snake through the picturesque landscape and lead through lively villages to remote and secluded areas. Here, you can savour the peace and quiet looking over a beautiful panorama. In the quaint country inns along the way, you can enjoy delicious traditional dishes and experience the local hospitality, refreshed and ready to hit the pedals once again!